Frankenslots Monster is a slot with a standard layout. It has five reels and three rows, and because of which the slot provides a clear and easy overview. Also, this slot has quite some standard symbols. Their presence enables you to really focus on the animations. The standards symbols on this slot range from tens to aces. All the animations on the slot directly link to the theme of Frankenstein. The monster will be standing on the left-hand side of the slot, and the professor will be on the right-hand side. Both characters will celebrate with you when you win. During the bonus game and free spins, the two characters play two very important roles. Frankenslots Monster is a slot by Betsoft, with which it probably won’t let down any of its fans. This slot is chock-full with entertaining animations all the while having a lot of action. Frankenslots Monster is, at the same time, a slot very easy to understand and play as a result of its standard layout with five reels and three rows. During gameplay, the animations on both the right and left side of the screen will keep you focused. However, do not let the aesthetics fool you into thinking the animations are just for show. That is, the Frankenstein monster plays a big role and can lead to big winnings. How to play Frankenslots Monster? Frankenslots Monster has a fun bonus game in which you have to get active. When the bonus symbol pops up on your wheels in three-fold, you win a bonus game. During this game, you have to configure the sliders in order to determine how much electricity will be sent through the body of the monster. You will see the results in the behavioral changes of the monster after having been electrocuted. During the bonus game, your winnings easily and quickly add up. However, it might also not be too much. This depends on your luck. Frankenslots Monster has a fun free spins mode, which can make everything even more exciting. In order to reach free spins, you need the scatter symbol to land on your reels in three-fold. When this happens, you will receive eight free spins. Before you get to play these, the monster will break loose. Even though you might think this isn’t important, it actually is. Namely, the electricity that has traveled through has body results in extra wild symbols with every spin. Because of this, winnings during free spins are substantially higher than during regular rounds. Also, pay attention to the fact that during free spins you can win even more of them! Frankenslots Monster does not have a jackpot, but the prizes can really be high. The bonus game and free spins are the ones that enable you to really win big. On the other hand, also during regular spins, you can really win. So, what about the pay lines on this machine? This slot has 20 pay lines in total, and you cannot configure the number of active pay lines. That is, you always have to play with all 20 of them. However, of course, you can determine the coin value and also how many credits you want to play per pay line. In the vicinity of the button used to configure the coin value, you will also find the gamble function. 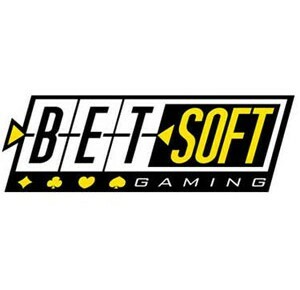 This gamble function is called Double Up on Betsoft slots. If you want to just sit back and relax while playing, you can use the autoplay function. It is important to know that if you want to use this function, you need to configure everything again after activating.